Exhibit B: Set Financial Goals Using M.A.P. A financial goal plan should be in place for every household. Anyone who wishes to have more options in their life; more freedom to travel and explore; more safety and security in creating their future and supporting their family members - must have a solid financial plan in place. In our Life Balance - Success Wheel tool, one of the primary areas of your life is your personal finances. 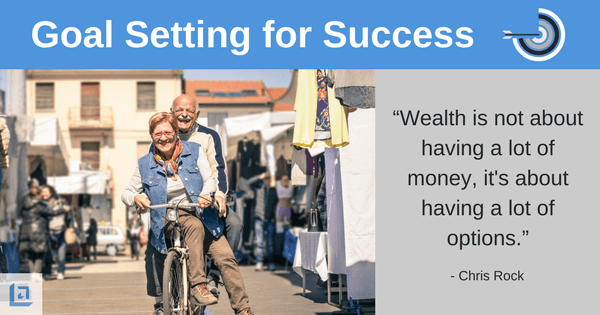 Managing the financial category of your life is highly important because if your financial life is not going in a positive direction, other key areas of your life can be negatively impacted. Managing your income and expenses today will determine your standard of living in later years. The sooner you begin working from a financial plan the more confidence you will have in your ability to achieve your financial goals. As you work to create your financial goal plan, remember to take advantage of all the financial management tips and tools provided on our website. Your financial plan will need to be revised as life events happen. For example, if you're single your plan will focus mainly on managing your cashflow, which is done by limiting expenses, savings money and building equity for your retirement. "No one's ever achieved financial fitness with a January resolution that's abandoned by February. - Suze Orman"
Finances become more complex once you are married and begin having children. Financial issues such as buying a home, life insurance coverage, and estate planning are key items that also need to be addressed in your financial goal plan. The financial goal plan example provided below is a great first step to creating your financial future. Answering the M.A.P. questions will help provide clarity on what you want to achieve in your financial life. However, due to the complexity of managing personal finances don't hesitate to share the plan you create here with a reputable financial adviser for greater peace of mind. In the following information, we've provided a step-by-step example of how to use the Master Action Plan (M.A.P.) 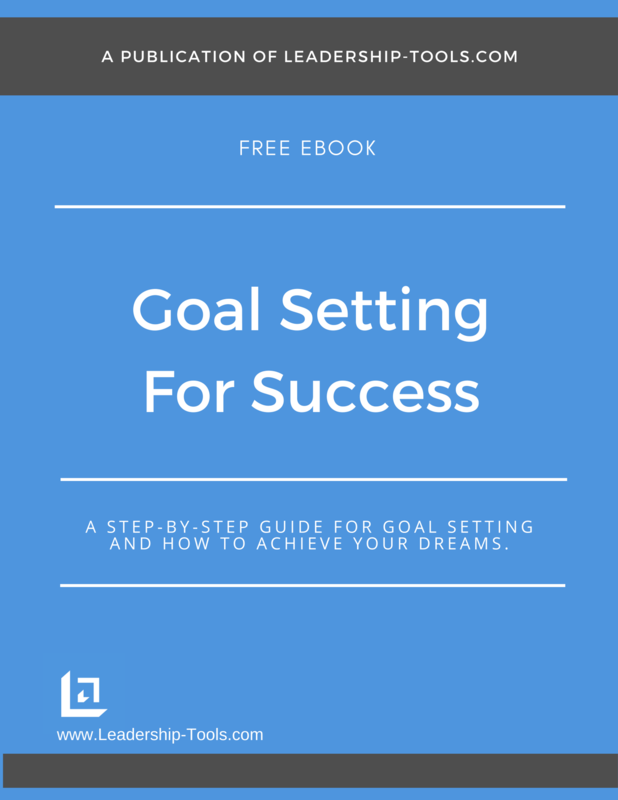 form most effectively to create a financial goal plan. To become debt free (excluding the house payment) within the next 18 months, with over $1,000 in my savings account for emergencies. To break the chains of slavery. "The debtor is slave to the lender". To be able to maximize my greatest wealth-building asset, my salary. To minimize the stress in my life stemming from financial burdens, which will allow me to live a more fulfilling life, without the strain or worry of debt. Write down all my Revenue and Expenses on a personal financial statement in order to assess just how large the debt issue is - this will be done within the next 2 days. List all my debts in order from largest to smallest - so I can focus on paying off the smallest debt first. Each time a debt is paid off, I will use that money and add it to the next largest debt, creating a snowball effect against my debt burden - I will complete this within the next 3 days. Create a detailed budget that accounts for every penny spent for the coming month. I will in effect spend all the money "in advance" on paper and then I will be resolute in sticking to my written budget in order to accomplish my goals - to be completed within the next 5 days. At the end of each month I will assess my progress and complete my written budget for next month - to be completed every month for the next 18 months. I will make a list of ways to earn more money to help accelerate the debt-snowball process. Activities might include looking for a second part-time job, starting a home business, having a yard sale, selling things on eBay, using store discount coupons, etc. What Barriers Do I Anticipate? How Will I Overcome These Barriers? Lack of willpower: Cut up all credit cards. Limit card use to one debit card. Pressure to "Keep Up With The Jones'": Change my thinking. Know that if I live like no one else today, then later on I will truly be able to live like no one else. I'll be rich, and my broke friends will still be broke. Living in a "I want it now" society: Change your mindset. Grow up! Realize that there are major forces at work to keep my spending out of control - take that fact as a personal assault and start fighting back! Stop mortgaging my future. 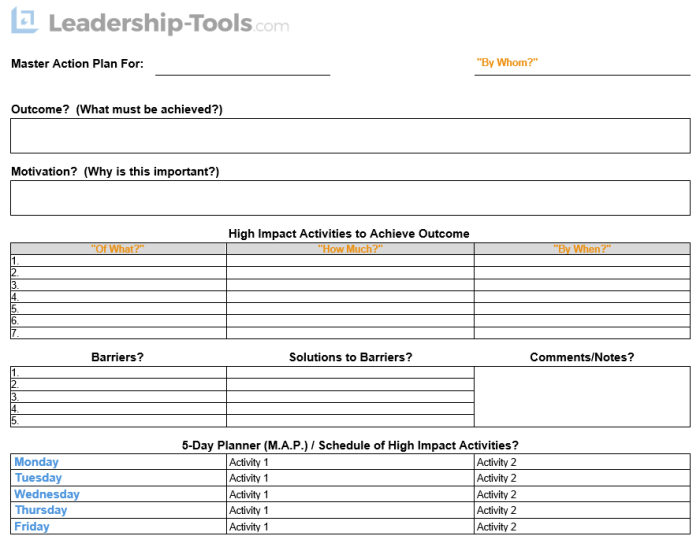 Review the above high-impact activities. Use the 5-day planner to schedule your week to include the activities that will lead to your success. Continually assess and adjust the plan as needed. 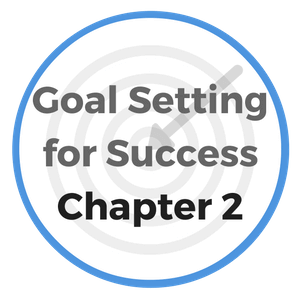 The above example represents a financial goal plan that will get you off to a great start, with very specific stepping stones that can lead to achieving your goal successfully. There are some other great tools that you can buy to assist in managing your life. One of the most popular life management systems is Franklin Covey. I prefer using Time of Your Life but it is more expensive. The primary message here is whatever system you choose, you're better off having a system vs. having no system at all. Plan your work, then work your plan - and start making your financial goal plan come true. If there is one thing a young person should remember when just starting out in her career, it's that she should not place too much emphasis on salary in her first position. Instead, it is much more important for her to keep in mind the benefits associated with a new role, and the opportunities it will provide for her to learn and grow within her chosen profession. "Achievement does not depend so much upon the amount of money in your pocket as it does the amount of capital you have in yourself." Experience that gets results is truly what employers pay highly for. You must do what you can to gain as much experience up front before expecting someone to pay you for something you do not yet possess. In addition, make certain that any work with your name on it, is work that is done to the best of your ability. Your work says no less than your signature on a legal document. Your work is your fulfilled promise to your employer, each and every day. The habit of insisting upon the best work that you are capable of doing, of always demanding of yourself the highest - never accepting the lowest, will make all the difference to you between failure and success. "The quality that you put into your work will determine the quality of your life." When you get your first job think of yourself as actually starting out in business for yourself - as truly working for yourself. This mindset alone will allow you to see opportunities and open doors that would otherwise never seem apparent to you throughout your career. Determine that you will call upon all of your resourcefulness, your inventiveness, your ingenuity, to devise new and better ways of doing things that will benefit your employer. Present new ways for your organization to save and earn more money, deliver better service, and you will soon be recognized as a leader among your peers. 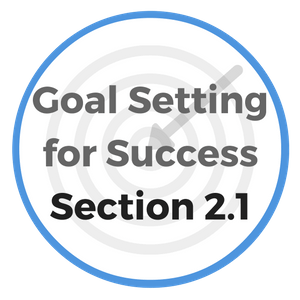 Demonstrating a get-to-it-tive-ness approach will position you well for the next promotion.